The February LSAT just happened! In this post we’ll recap the February 2014 LSAT and provide a space to discuss what worked, what didn’t, etc. Please use the comments to vent about how poorly the test went or ask us about anything if you need advice going forward. The actual score release is scheduled for Wednesday, March 5th. However, as we all know, LSAC almost always releases the score early. Sunday releases are not uncommon, so rather than going with the crowd and predicting the score release on Monday, March 3rd, I’m guessing LSAC will release scores via email on the Sunday, the 2nd. Monday is probably more likely, but I’m hoping you get it a day early. So, I hear that one of the games, the last game of the section, was incredibly difficult. If you had two LG sections, the real one had games about diplomats and cities. Unfortunately, the real one was apparently much harder than the experimental games section. This included a circle game, which hasn’t been seen on the LSAT in a while. Still, don’t get too worried about the difficulty. Because of this hard game and an RC section that many considered pretty hard, I’m predicting another fairly generous curve, -12 at least, probably more. For those of you new to this, the “curve” on the LSAT is LSAT prep lingo for the amount you can get wrong and still get a 170. So on this test, I’m predicting that about 13 wrong will get still get you a 170. Unfortunately, because it is a February LSAT the curve won’t be released, so we won’t know exactly what the curve is. That said, we will be able to get a general feel for whether it was a generous curve or not. Also, to help you look on the bright side, here are some things to keep in mind. It’s 2014, not 2009. Applications to law school are way down, and will remain that way next year. Even with an LSAT that may be a couple points below your absolute best, you are in better shape to get into a good school than prior generations. Law schools only consider your highest score. Really. 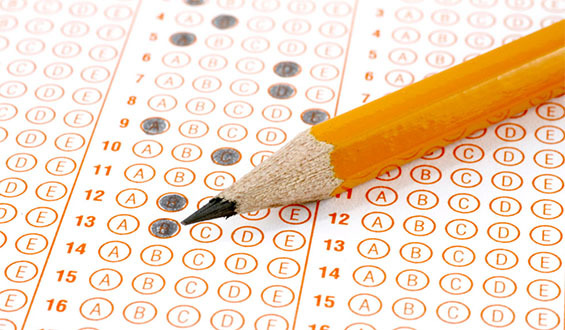 Read this: How Do Law Schools Look at Multiple LSAT Scores?. If you need to retake again, you are now in position to apply early next year, which is probably the best thing to do anyways. 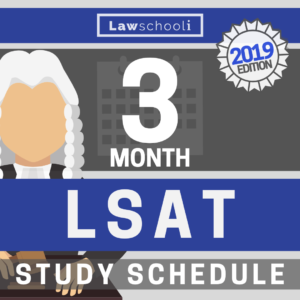 June is the best time to take the LSAT. Take a break for the next few weeks and then read our post on improving on a retake. Also, for help deciding whether to retake, here’s a post on that: Should You Retake The LSAT? On the flip side, if you think the test went well for you, congratulations! You should be psyched! Hopefully, it will be a big game changer for you. To everyone, congrats on surviving an LSAT. No matter what, just getting through one of these things is something to be proud of. I just took the February LSAT and received a score of 162. I was always planning on taking the June LSAT but found out in January that I would be out of the country in June and wouldn’t be able to take it then so I only had about a month to prepare for the February one. I am planning on taking it again in October because I feel like with more preparation I could get a higher score. What is your advice for studying for a retake? When should I start reviewing for October? I know my weakest section is logic games; I didn’t even finish the third problem and didn’t look at the fourth one at all. Any advice/suggestions would be very much appreciated! Well, I ended up getting a 172. I’m considering retaking, so any advice you have would be great! My prep test average was 174.5. I have an ugpa of 3.35 with a BA in music performance. My dream school is Harvard, as my undergrad was spent in Boston and I loved it there, but thats highly unlikely with my GPA, even with a significant LSAT increase. I think I can improve my score to at least a 174-175 actual, as I was scoring there consistently, and feel as if I sold myself a bit short on prep — I put in about 15 hours a week for three months, but had to take a couple weeks off due to holidays, etc. I also have tons of prep tests left, I think I used around 20 total, and only around 10 under strict timing. I used powerscore, but I think lack of drilling was my biggest issue. I know I could commit myself to studying even harder this time, however I’ll likely be moving cities on June 1st, which will be a fairly significant distraction. I’m planning on applying for the fall of 2015 cycle. Any thoughts would be really appreciated, you guys have really helped guide me through this whole process! Hi Alex. Great score! That’s a fairly typical test day drop. I myself was testing 175-177ish and ended up with a 173. I ended up convincing myself not to retake. I think that’s almost always the right decision for people in the the low 170s score range. If you look at the repeater data, it seems that the odds of improving or doing worse on a retake are about even at 172. However, if you can get your practice average into the very high 170s, I think a retake might be justified. You are, if I recall, a very fast test taker, so I think you’ve got a good margin of error to work with as you just need to improve accuracy. Also, having that much material does indicate a possibility for improvement. The problem is that Harvard does consider your lower score, so it’s as you say: a high 170s score might not seal the deal there. A higher score would, however, likely increase you scholarship drawing power at lower schools. I can’t make the decision for you, but if the idea of taking it again isn’t totally distasteful to you, I think it’s likely worth the shot. I think you should really be thinking hard about UChicago if you are eventually heading to Minnesota. UChicago’s reputation in Minnesota is obviously second to none. Also, being within shouting distance of home can be really nice during law school. Evan,thanks so much! I think I might try studying again and gauge my PT averages as the test date gets closer to decide. I’m not afraid to walk away and keep this score if the circumstances don’t seem perfect — it’s not worth risking a lower score or really even one that is the same, it seems. Another thing for me to consider is the fact that I was working overnights (often easily 50+ hours a week) while prepping for and taking the February test. There may be some possibility to change that if I decide to retake. If I take being located in Boston out of the picture, Uchi has been my number one school, but I’ve always assumed that it was just as hard to get into as Harvard. Do you think I’d have any shot with the 172, or would retaking and scoring in the high 170’s greatly increase my chances there? Also, while reading over your about me section again just now, I noticed you were also into freestyle skiing and like me, broke your back doing it. Really?! I’m hoping you are still fully mobile. We gotta trade stories — I broke L1 and L2 vertebrae skiing in Newfoundland. We’d set up a really big hip jump out in the backcountry and my rotation got all screwed up when my ski came off on the take off. Pretty bad scene. I about was 2 hours away from the road by snowcat at that point too, so it was about 5 hours before I got pain meds. What an experience. I still get some pretty intense flashbacks to when it happened. Just a heads up you might want to stay off that topic directly when you apply to UChicago, because I used that story, then a year after me a pro snowboarder dude (also named Evan) said he used his broken back story too for a PS. Dean Perry has probably had enough broken back tales. I’m mostly kidding though if that’s what you want to write about go ahead. Also, your LSAT plan seems like a sensible one. UChicago is usually a little less selective than Harvard, although still obviously very selective. I like your chances though. I think you’ll have a great shot with the current LSAT. Right now, 170+ lsat takers are hard to come by, so schools are really fighting over them. Put together a really strong app and you’ll be in good shape. Thanks! I am fully mobile, luckily. My story isn’t quite as crazy as yours — I was working on a corked 7 with a mute grab off a medium table, and got my glove caught in the binding. I managed to pull free at the last second, but slammed down on the flat with my back hyper-extended, and ended up with a hairline fracture in one lower vertebrae, and another dislocated. I was in shock, so I ended up trying to ski down part of the hill before realizing how badly I was injured — I’m lucky I didn’t injure it worse! Oh man that sounds pretty nasty though. Shock is a crazy thing. Yeah good luck and keep in touch! That’s pretty much exactly how it felt for me, so I’m hoping things went well for you too! Don’t worry about self-studying having put you at a disadvantage. I would say a slight majority of top scorers self-study. Let us know how it went when you get your score back! Thanks so much for taking the time to reply. I have felt like this before on a practice test and have done decently. It looks like historically the difference between a 166 (a score I would be OK with) and 160 (what I would not be comfortable applying with) is about 8 questions, so I think it is a tough call but I think I might just keep my score to see how I did and retake in June. The problem is that I’ve done most, if not all of the recent practice tests since 2007 (when the reading comp added dual passages). In my prep, I also retook a few PTs that I took (and did poorly on) very early on in my preparation and scored high (mid-170s). Do you think there is value in retaking old PTs? I generally felt prepared and had a solid grasp of the test material going into Saturday, but think my nerves got the better of me. Do you have any advice on what I should do for the June test? Thanks a lot again – this blog has been very helpful! There is certainly value for taking old practice tests in terms of improving, but they aren’t going to tell you much about how you can expect to score on test day. Generally the longer it’s been since you’ve seen that particular test the better, especially when it comes to LR and RC (where the brain is better at simply remembering the answers). It seems like you have a lot of older PTs left to do, so you should have plenty to practice. Don’t worry about them not having the dual passage that is not too big a deal. 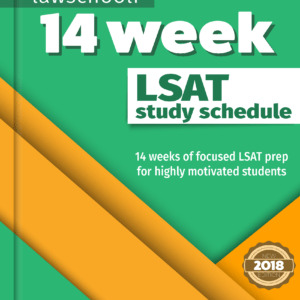 look on this link to every actual preptest and tell me how many you have yet to do: https://lawschooli.com/where-can-i-find-every-actual-official-lsat-preptest/ With that, I can give you a better idea of how to schedule your prep going forward. Will you guys have a post on canceling this test? I’m not sure if I should cancel given that I struggled on similar sections as other people have also noted — I had the first section as an experimental LR which I also found much more difficult/harder to grasp, and wasn’t able to get through the circle game. This was my first time taking the test and I panicked during the first section because I was unable to confidently answer some of the questions. This panic may have spilled over into the second and third sections. I have been scoring around 165-166 on the last 6 recent practice tests and want to go to a T-14 school. I feel like this did not reflect my best performance, and I could do much better next time to control my nerves. But it also sounds like the curve might still keep me in the 160 zone. I would greatly appreciate your thoughts on canceling. Let me try to give my advice for you here. It’s best not to rely curve to come and save you since it’s too hard to predict accurately. Thus, I think it’s best to kind of take that out of the equation in making your decision. If you practiced enough, you should have a pretty good feel for what happened on test day. Was it really bad, or have you felt like this before on practice tests and still come up with a good score? I generally advise people to cancel if they are reasonably certain they got 5 points below their practice average. It seems like you are right on the fence there, so it’s very very difficult for me to help you make the call. However, if you are really focused on a t-14, a low 160s score is not going to do it for you most of the time. Since it’s really too late to apply this year, you don’t lose too much by canceling and retaking in June. Don’t stress out about your decision too much either way, because there isn’t a whole lot riding on it. Remember that having a low score on the books really doesn’t hurt you. Sorry I can’t be more definite, but with close calls like this it’s impossible to say firmly that there is a right thing to do. Is it ok to ask those that had only two logical reasoning sections, how many questions they answered… 51 total or 52? Yeah that’s fine. Anyone remember. Kudos if you did. I had very little memory of my own test when it was all said and done. I actually thought the LG section was easier than other recent LGs, if you knew how to properly diagram the questions. There weren’t many substitution rules, so I finished with plenty of time to double check all my answers, then sit bored for a few minutes. I’d be surprised if I got worse than -0 or -1. Yeah, that’s why we put so so much emphasis on diagramming skills. If you are a rock solid diagrammer it greatly reduces the potential for disaster. Lucky that that turned out to be the experimental. It seems like you recovered nicely from the rocky start. That’s a big lesson for everyone, not to let an off section phase you. I’m hoping you have a great score waiting in your email inbox. Let us know how it turns out. Ya waiting is the worst but just enjoy not having to study and it’ll be over soon. I took Saturday’s LSAT, and it was a heart breaker. I actually enjoy the logic games and am usually very strong at the games, missing 1-3 questions on the section. I’d be surprised if I got 50 percent of the games questions right. I was very slow and lost track of time and basically guessed on the entire third game. Game three actually tripped me up more than game four. I have nearly ten years or work experience and was looking for a career change. I’m thankful my eggs aren’t all in this basket, but I’m disappointed nonetheless. I’m not sure if I should abandon my law school dreams altogether, or buckle down and reattempt the test. Yeah, people described games 3 and 4 as sort of a knockout combo. One or the other screwed up their timing, and from there it got really messed up. A bad showing like that is no reason to abandon your LS dreams. Each test, the LSAT allocates difficulty among the sections in a different way. This is called section balancing. Certain balances might be very hard for an individual taker, which adds a component of luck to this whole LSAT business. Luckily, you can retake. You aren’t very likely to see another totally evil LG section, so don’t be discouraged from trying again. So I had the version of the test with 2 LG sections. The third section was the experimental. After I completed it, I was so happy (I thought it was real at the time and I’m pretty sure I got zero wrong). And then when I opened my test booklet to the final, fifth section…I saw that it was logic games as well. I was completely heart broken. lol Logic Games is usually my best section, but wow that final section was very difficult. I was only able to get to three of the games, I didn’t even have time to properly look at the final game everyone is talking about. The RC and LR sections were pretty straightforward to me. The LR sections felt a little easier. I took a ton of prep tests for this exam. If I choose to retake, how can I study with the little prep tests that I have left? With that said, I took this exam for Fall of 2015 admission not for later this year. First off, I think a retake is kind the clear path here. Really bad LG sections don’t happen too often. As for what to do now, it is indeed hard to make progress with few PTs remaining. However, it looks like you don’t need to make too many improvements but rather just have to turn in the best performance that you are capable of. I suggest going through your preptests looking for games you found hard at the time. Make sure you really understand the structure of these games so that you can diagram anything. 7sage has really great free video explanations for almost every game, so try to check your work on these games against theirs. Otherwise, follow the advice in that post I linked and let us know if you are having any trouble. My LSAT went about as poorly as I dreaded on Saturday… first three sections went okay, my games section was the 4th and I completely bombed it… I was very anxious after break and the circle game threw me for a loop. I probably guessed on at least 4 questions, not counting the ones I probably got wrong anyway. The 5th section I also guessed on about two questions. My PT average before the test was 167, which is what I was hoping to get. I would be surprised if I got over a 160. I already applied to a bunch of schools this cycle relying on a good February score and now am unsure of what to do. I’ve been out of undergrad for almost two years now and the thought of taking another year is truly awful to me. Also, this is my third attempt at the LSAT… I technically have one more try since the first I took in 2011 (very bad score, barely any prep). I know I haven’t gotten my score yet but there’s no way I got what I wanted. I don’t know if I should withdraw my apps or what. Any advice is welcomed. Sorry for the rant. This kind of thing happens all the time, so don’t feel too bad. If you are that confident that you unperformed, I would suggest canceling. No need to have a score on your record that doesn’t reflect your potential. 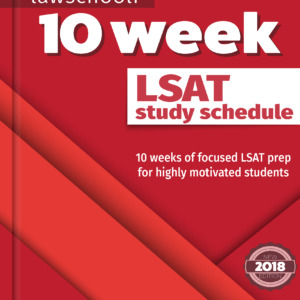 Here’s our post on that: https://lawschooli.com/cancel-lsat-score/ Make sure to think this over quickly, as you only have the 6 day window. As to waiting another year, you may or may not know that I always advise students to wait another year if they haven’t fulfilled their potential. It looks pretty clear to me that you haven’t yet, as you have a realistic shot of doing much better based on your PT scores. If your current score is something you aren’t at all satisfied with, to me makes the decision to keep trying pretty clear cut. If waiting seems bad now, remember that going to a lower ranked school without much scholarship money is likely to land you in a much worse situation in your late twenties. The 167 or better that you are capable of would put you in very good shape, so If I were you, I’d keep striving for that. If you were seriously dreading the LSAT and were overly worried about scoring poorly, that may have affected your performance. It’s important to not put too much pressure on yourself. The do or die attitude created by relying on a February score is often especially harmful. When you retake, try to focus on the test, and not what it means.